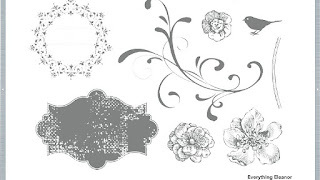 The stampin Wheel stamp in my opinion is often underplayed among stamps but they can not only be an economical stamp to purchase but also versatile in their applications. There is also a few to consider when purchasing a wheel stamp and it is often overlooked in one's order. Depending on the size of your wheel stamp you will need a wheel handle. Wheel stamps come in 3 sizes- mini, standard and jumbo. Standard and Jumbo being the most common. If you use mini wheel stamps you will need to use them in a Jumbo handle with the addition of 'spacers and spindles'. You can use wheel stamps with a inked cartridge to give a continuous ink flow of the same shade or without a ink cartridge installed and simply run it over a ink pad a few times and roll in one direction. For a varied effect you can re-roll it again without inking up and have it a shade lighter. 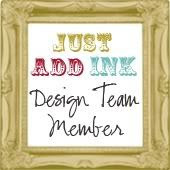 You can also use your mini stampin wheels with the spacers and builders in your jumbo wheel and there is also available separate ink cartridges if you want to use multiply colours as seen in this youtube video below care of Catherine Pooler. 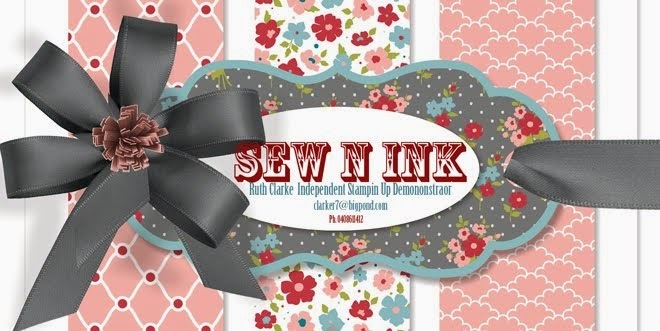 So here is a few cards I did for a stampin Wheel stamp workshop recently using the stamp- Very vintage. I've had this one for 3 years now and its still a favourite. You need to use it with a jumbo wheel. I didn't use a ink cartridge but just ran it over several times on a retired colour- 'Not Quite Navy'. I also showcased another card which I gave to a new mum recently. In this instance I ran my wheel stamp over some versamark ink pad (watermark) and then embossed it with clear embossing powder as a special background, used the same stamp with other inks as the main feature. Of course during the workshop I also demonstrated how you can take your wheel stamps off their wheel and with stamp foam mount, use them as regular cling mount stamps. There are some useful Youtube videos as like the one below that demonstrate how to go about this. So have some fun with the various wheel stamps available and you can see there is many ways to use them. If you want to see the many available for sale click on the catalogue link and for your convenience you can purchase some right away by clicking on the 'Shop Now' button.